Windows 10 the Wake Up Timers. If an update is scheduled to be installed, or a special task in the Task Scheduler app is defined with the option Wake the computer to run this task, then the computer will be turned on automatically. This is possible thanks to wake up timers. There is a built-in tool in Windows 10, powercfg. This console utility can adjust many parameters related to power management. To disable or enable the Hibernate mode. 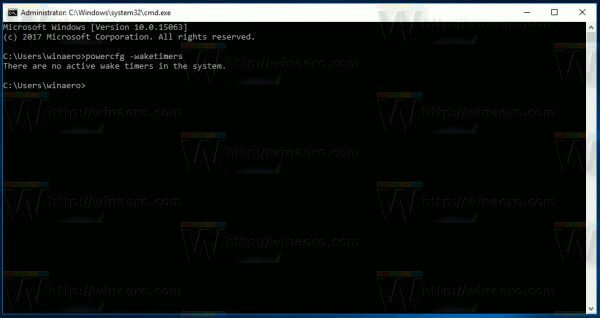 Powercfg can be used to populate the list of wake up timers which is able to wake up the computer from sleep. To find Wake Up timers in Windows 10, do the following. In the output, you will see the list of timers and by which app those timers were set.